Rummy is a very intriguing game which can be played at any time of the day. The game is exciting and will keep you engaged for a whole lot of time. The adrenaline rush that is offered by the game is unparalleled and this is the main reason for the wide popularity of the game in India. The game is played for cash online which has increased the reach of the game in India. Now players can easily play rummy online without any trouble. If you are new to the game of rummy, you need to learn how to play online rummy games. 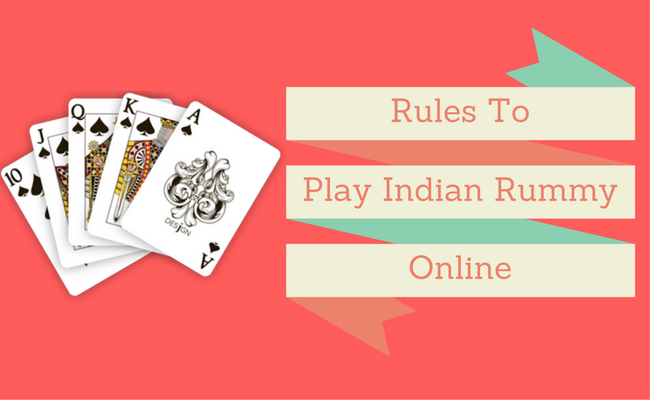 The Indian rummy rules of play are simple and you can easily learn the basics of the game by playing a couple of games. There are multiple online Indian rummy websites which offer interactive tutorials and video tutorials which explain how to play rummy. These tutorials can help you shorten the learning curve and you can easily become a master of the game by constant practice. Below are some of the basic rules of playing rummy online. Sets & Sequences: Rummy is a game of drawing and discarding, the basic rule of Indian rummy game is to meld you cards into sets and sequences. Once you are able to meld your cards, you can finish your cards. Sets are made by melding 3 or 4 cards of the same rank and different suits. Sequences are made by melding 3 or more cards of the same suit in consecutive order. Joker: Once the 13 cards are dealt to the players, the joker is selected randomly from the remaining cards. Joker is used to replace the missing cards to form sets and sequences. It is mandatory that a valid hand should have at least one pure sequence. A pure sequence is a sequence which is made without melding jokers. Declaration: Once you are able to meld the cards into sets and sequences, you will be able to declare the game. If your declaration is valid, you will receive zero points. If you make a wrong declaration, you will receive 80 points and the other players will continue to play the game to find the winner. These are the basic rules that you should remember while playing the game of rummy. If you are able to focus on these basic rules, you can easily win the game of rummy. You can also check out the major websites which hosts Indian rummy online where you can play rummy for free and practice your skills.